The vaccine with the most ADR reports was the Human papillomarivus (HPV) for which there are three vaccines: Gardasil®, Cervarix®, and recently licensed Gardasil 9®  with 8,228 ADRs. Next in line is the annual Influenza virus vaccine with 2,994 ADRs. The MMR (Measles, mumps and rubella) with 1,594 ADRs is third highest. Fourth highest ADR reporting count is Pneumococcal disease (PCV) with 1,560 ADRs. Diphtheria, tetanus, pertussis, polio and haemophilus influenza type B with 1,309 ADRs is fifth. Sixth highest ADR is for Diphtheria, tetanus, pertussis and polio with 1,190. Seventh is Tetanus, diphtheria and polio with 1,076 ADRs. Those ADRs represent health damage from what’s called “multi-valent” vaccines, meaning more than one disease active is contained in a vaccination or jab, as it’s called in the UK. Six other vaccines had ADRs reporting fewer than one thousand, which should not be regarded as insignificant. The above information demonstrably demonstrates – and validates – what vaccine-safety-advocates (often referred to as anti-vaxxers) have been beating the drums about: Vaccines cause irreversible damage and, as the U.S. VAERS reporting system—similar to the UK’s ADR reporting system—even deaths and for which the U.S. Vaccine Court has settled claims. The UK is not unique in ADRs from vaccines. Every country in the world that has any vaccine program reports serious ADRs. However, what is unique is that in the USA those ADRs are not permitted to be discussed in the mainstream press and media. The Independent’s report truly is refreshing insofar as the “cat is out of the bag” definitely, and let’s make certain it stays out; that journalists globally report vaccine damage, and especially in the supposed ‘free’ press of the United States of America. 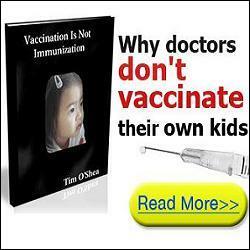 Can you imagine how many children worldwide would have been saved from lifelong health problems—or even premature deaths—caused by vaccines IF any one of the governments colluding on the above vaccine skullduggery would have had the integrity to tell the world the scientific facts about vaccines: that Big Pharma’s vaccines actually cause harm; do not prevent disease but cause the very diseases in vaccines? Vaccines preventing diseases probably is the BIGGEST lie ever told! Why? Because it’s been perpetuated for so long, that most gullible people believe it. Please check out the Resources section below for additional information, which is only a fraction of what’s going on about vaccines that readers may not know about due to the controlled ‘free’ press in the USA. The press and media are beholden to Big Pharma, probably because of all the advertising dollars Pharma spends in their daily newspapers and especially on TV. All those erectile dysfunction ads add up to advertising profits! The U.S. FDA also is beholden to Big Pharma for all the funding [3, 4] and consensus science it gets from them. Next time your MD, employer or school wants to vaccinate you or your child, ask to see the vaccine package insert section that documents in print that the vaccine has never been tested for what was just discussed in the above paragraph. Ask him/her if he/she knew that, plus why would he/she want to inject you with toxins that can harm, as it explicitly states in the rest of the vaccine package insert, especially when every MD is sworn to do no harm. 1 Comment on "UK’s Independent Newspaper Blows Lid Off Vaccine Damages"